That took us from cost-benefit analysis to the apocalyptic imagination in one short paragraph, an almost unimaginable feat. Which is precisely why bureaucratic “military or political” minds might overlook it. 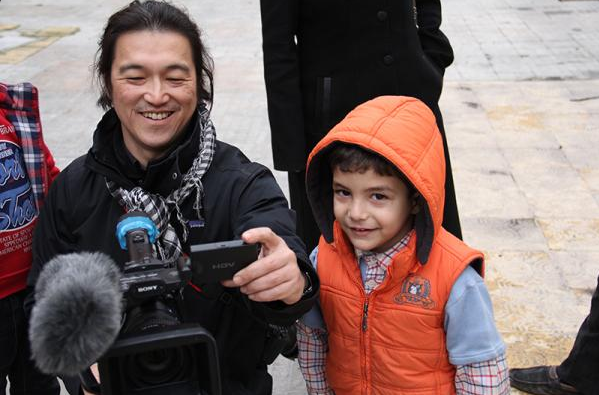 And may Kenji Goto rest in peace. 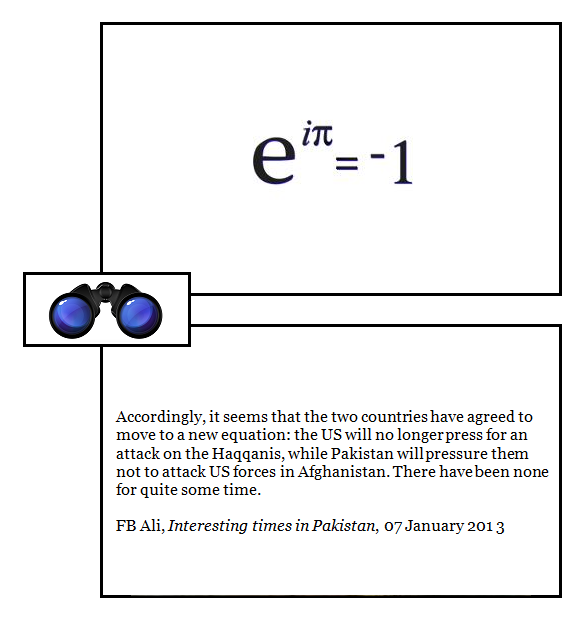 The upper equation — Euler‘s — gets as tight and definitional as one can get, yet is profound in the way the greatest haiku are… while the metaphorical “equation” mentioned in the lower panel is a very rough model indeed of the intricate and constantly shifting forces at work in and on Pakistan. I’m interested in mapping these sorts of influences at a level of detail that the human mind can assimilate and comprehend — and the graphical news-map in the video below will give you an idea of what one approach to such a mapping would look like. Now is that art, or technology — or a beginning of something fascinating that by its very nature melds both? police would set up roadblocks and stop only BMWs in an attempt to root out the gang members from the general population. That’s profiling for you, eh? In the early 1970s, the extreme left wing Baader-Meinhof Gang terrorized the people of West Germany with a campaign of bombings and assassinations aimed at dismantling a capitalist system they considered no better than the Third Reich. The terrorists’ ride of choice? BMW New Class sedans and coupes, according to this documentary from historian Richard Huffman, an expert on the Baader-Meinhof Gang. Huffman says cars became so strongly associated with the group’s acts of terror that police would set up roadblocks and stop only BMWs in an attempt to root out the gang members from the general population. People even started saying that “Bavarian Motor Works” actually stood for “Baader-Meinhof Wagen.” Some BMW drivers even had to slap bumper stickers on their cars specifying that they weren’t terrorists. You might expect this to have been a major PR crisis for BMW, then a small and nascent regional automaker nowhere near as prominent as it is today. But it wasn’t. That’s because the Baader-Meinhof Gang, later known as the Red Army Faction, enjoyed a surprising amount of support from people in West Germany, especially among young people and members of the left-leaning counterculture. This went a long way toward making the car seem hip in German youth culture. Then the gang stopped being theoretical revolutionaries and actually started murdering Germans and U.S. soldiers. When the body count began to rise, public support evaporated. As for BMW, they emerged unscathed from the crisis, and started growing into the luxury giant they are today. Now, what kind of analytic model would predict a series of twists and turns and hairpin bends like that? 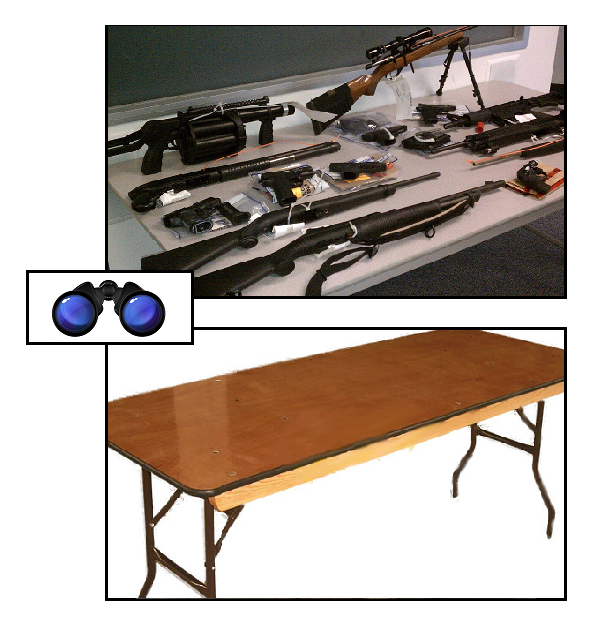 In the upper panel above, you can see a bunch of “guns and ammo” displayed on a table, and in the lower panel, a bunch of “hearts and minds” similarly displayed. Putting that another way, you can see guns and ammo but you can’t see hearts and minds — they’re invisible, you can only intuit them. And therein lies the reason we focus so much on the quantitative and so little on the qualitative: we can see and count the one, the other is invisible and unaccountable. We at The Times of India in our edition today laid out a 6-point action plan to make India safer for women – harsher punishment, sensitization of the police force, setting up of fast-track courts, better patrolling, cleverer use of technology like GPS and CCTVs and a data base of public transport personnel – but what all these measures will not address is the mindset. More specifically, I want to address you to its concluding phrase: What all these measures will not address is the mindset. I want to re-purpose that paragraph. I want to remove the specific problem and proposed solutions, and to see the paragraph as a form, a vessel into which all manner of liquids could be poured. What follows is an n-point plan to make the world a better place — do x, do y, do z, do abc if it comes to that — but what all these measures will not address is the mindset. What all these measures will not address is the mindset. We almost always think about ways to fix the world, but forget that any and every fix has to work its way through not just our own mindset — though that can be a problem in itself — but also the multiple mindsets and differing culture sets of multiple others. Do this, that and the other in Afghanistan — but what all these measures will not address is the mindset. Do this, that and the other about Syria, about Egypt, about the Middle East, the Arab Spring — but what all these measures will not address is the mindset. Do this, that and the other to combat global warming — but what all these measures will not address is the mindset. Do this, that and the other about the possession and use of firearms — but what all these measures will not address is the mindset. Do this, that and the other, and the world will be a far better place. The thing is, you can’t simply deploy other people’s hearts and minds, the way you can deploy your own troops and materiel.